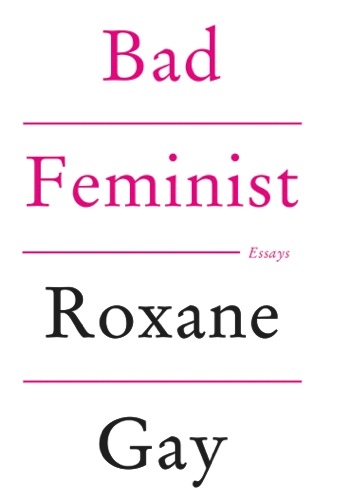 Roxane Gay may call herself a bad feminist — she cops to loving pink and dancing to misogynist music — but she is a badass writer. In her new collection of essays, “Bad Feminist,” Gay argues that she needn’t fit a mythologized image of a feminist in order to fight against institutional sexism, pay inequity, the cult of beauty, attacks on reproductive freedom and so on. Gay is as comfortable dissecting a Joan Didion novel as the reality TV show “Flavor of Love” with equal fluency and smarts. She compares being a first-year professor to being a kid who gets to sit at the adult table on Thanksgiving for the first time. She highlights gender inequality in the publishing industry and offers practical solutions. Gay points out that women still earn 77 percent of what men earn, that only 18 percent of the members of Congress are women and that only 4 percent of Fortune 500 CEOs are women. Gay’s writing style is as refreshingly varied as her subject matter — from lists to heavily footnoted pieces. A handful of the essays miss the mark or seem to drag on, but they’re few and far between. Reading “Bad Feminist” is like having a fascinating (one-way) conversation with an extremely smart, well-read, funny and thoughtful party guest. Here’s hoping we have another encounter soon.